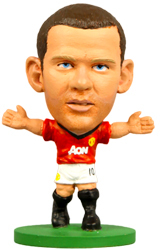 Soccerstarz™ is a new exciting product, figurines of football players of major world football clubs. The figurines are 5cm tall, good quality, very nicely done. They are very good present to a football fan. The RRP is only £2.99, i.e. the figurines are very affordable and can be sold in any country. The age restriction is 4+. Unlike stickers, these uniquely crafted sculptures are not just for collecting but are actual figures to touch, share, swap and display; so show your support for your team or just for the game you love and collect all your favorite players. 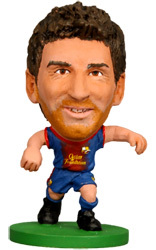 SoccerStarz™ figures are packed in blind sachets, and in full range of blister packed figures 4 packs and team packs. 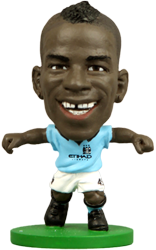 Soccerstarz™ is official product, it is fully licensed by respective football clubs, and we can provide permission to sell it wholesale and retail in your respective country. Please contact us with wholesale inquiries. 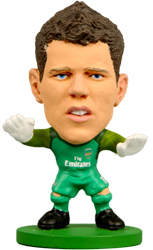 If you are interested in buying Soccerstarz™ figurines from retail for your own use, please contact your local retailers.